Featuring a pretty vintage inspired all over lace, delicately beaded and a boat neckline with open keyhole back. 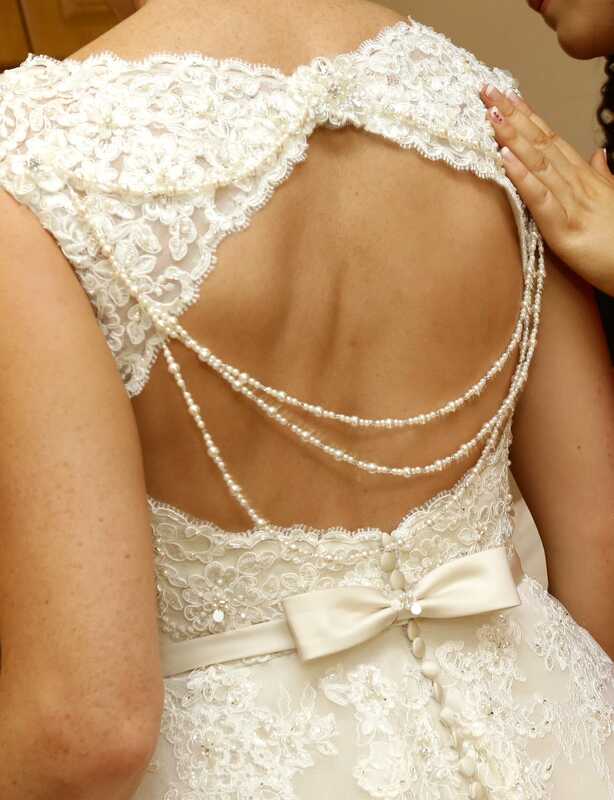 A satin sash with flower and a pearl necklace detail at the back gives a truly stunning look. A zip up back with button trim and a sheer back finishes the look.